Have you ever walked through an art supply store and been overwhelmed by all the different sketch pads, papers, and canvas? It's really hard to know what will work for your lettering project. I feel your pain! I've tried so many different products, some that worked better than others, but none that I felt were specifically put together for lettering. Finally we found what we were looking for by making it ourselves. Lettering Tracing Pad - this is the best tracing paper for lettering that I've ever used! 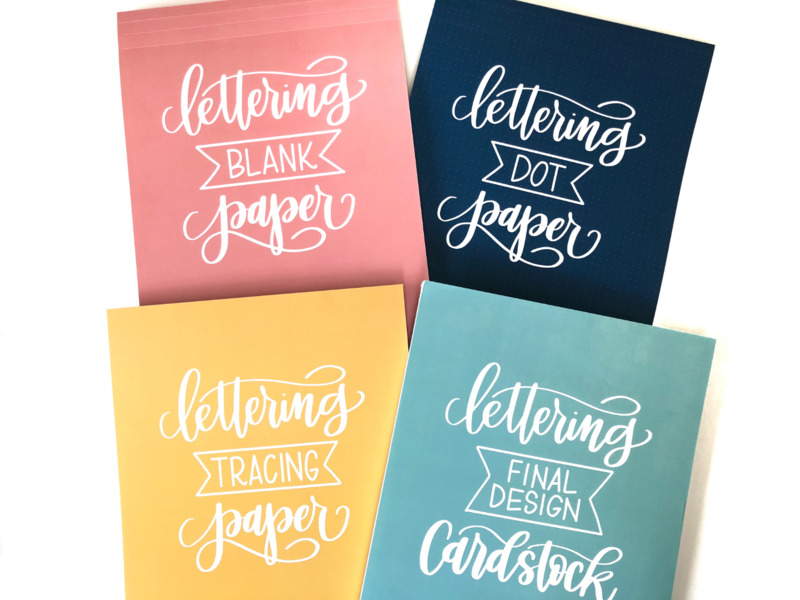 We also have our perfect lettering notebooks, a set of 3 booklets with the same high-quality thick paper with cute covers. These fit inside our Pen Pouch! Our Lettering Final Design Cardstock - perfect for works you want to frame! I wanted something that I could use for a final lettering design I wanted to frame and put on the wall, but when I went to the stationery and art supplies store there were so many different options and I had no idea what would work well with my brush lettering pens. So I tested a huge number of different papers and finally found what I was looking for, and now you can trust that this paper is specifically chosen for lettering projects. The cardstock sheets are sooo thick and smooth, perfect for your brush pen and marker nibs. This is a great set to add to your lettering supplies! The pad includes 25 sheets, shrink-wrapped together.